Today, myself and our staff would like to wish Ron a very Happy Birthday! Ron is teaching all day at the French Culinary Institute so I brought our whole staff over this morning to his class and we sang happy birthday – he was really surprised! Sounds like it was a fun surprise for him. 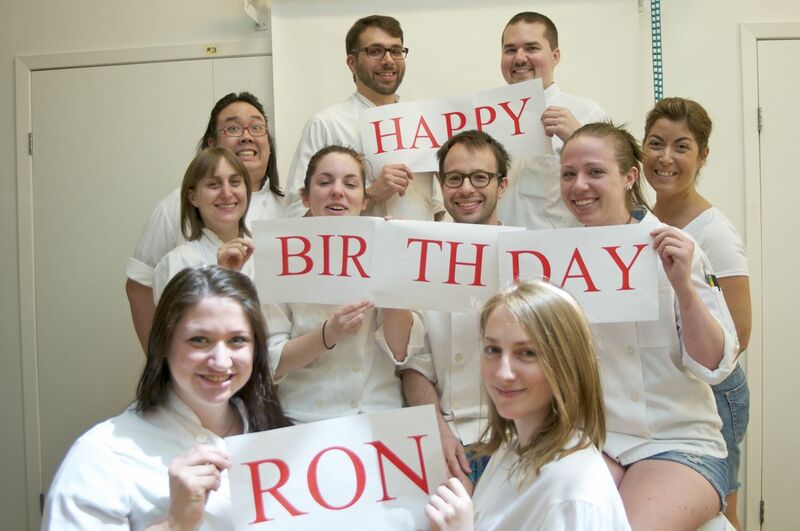 Happy, happy birthday, Ron, the King of the Cake World!!! I hope you had a wonderful day. Enjoy! You are an amazing team for doing this. Such a good boss deserves such a good team and vice versa! Happy Birthday to Ron!